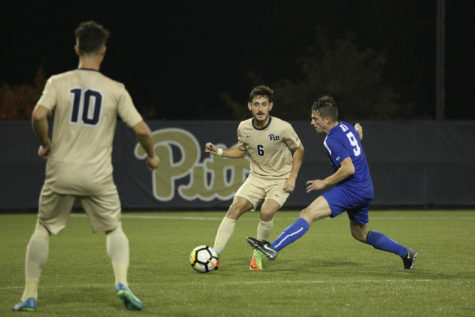 Despite struggling to finish plays in the first half, the Pitt men’s soccer team pulled through and scored two quick second-half goals to win 2-0 against the Detroit Mercy Titans Tuesday night at Ambrose Urbanic Field. 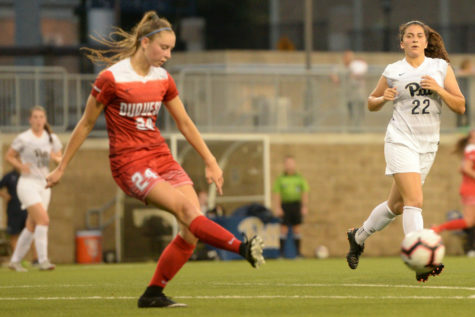 The first half saw Pitt (3-3 overall, 0-1 ACC) press Detroit Mercy (1-6 overall, 0-2 Horizon) on many occasions — the Panthers had 10 shots — but the opposing defense withstood the assault and carried a scoreless tie throughout the first half of action. 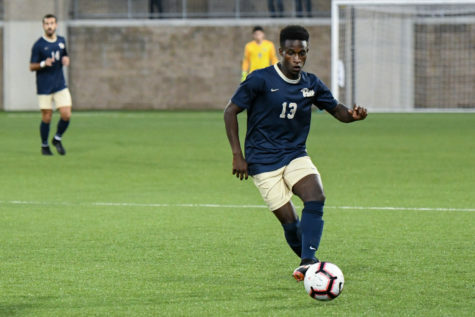 Sophomore forward Edward Kizza had the first real scoring chance of the game when he shot a header in the box in the 10th minute, but sent it over the goal. First-year midfielder Alec Townsend had a good look as well six minutes later, but ended up curling his attempt wide right of the goal. A nasty challenge on first-year Chandler Vaughn by Detroit Mercy junior midfielder Jake Reitzloff earned him a yellow card in the 27th minute — Reitzloff was substituted out of the game eight minutes later. Pimentel delivered a hard strike on goal in the 28th minute. 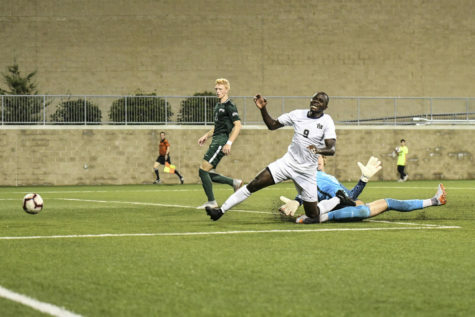 Redshirt freshman Titans goalkeeper Devin Mendez briefly bobbled the shot, but he secured it before the rebound opportunity arrived. 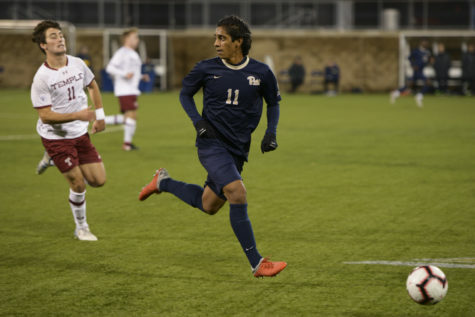 The last good chance in the first half for the Panthers came on a long shot from sophomore defender Jose Luis Sena Arbona, but it was once again corralled by the sticky hands of Mendez, who came forward and made a play on the ball before any Panther could get to it. Detroit Mercy sophomore forward Mohamad Miri had a great chance to score for the Titans within the first few seconds of the second half, but the Panthers’ first-year goalie Johan Penaranda came up with the clutch save. That would be the Titans’ lone shot on goal and Penaranda’s only save on the evening. 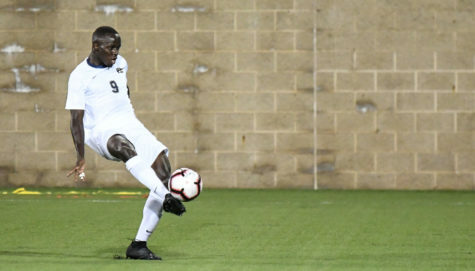 The Panthers finally gained momentum in the second half, as they were able to turn all those chances into a goal. Townsend out-hustled the Titans’ defense to a stray ball in the corner, then turned around and delivered a perfect cross to wide-open senior midfielder Javi Perez — who poked the easy finish into the net to make it 1-0 in the 55th minute. Almost immediately after the first goal, the Panthers got right back into attack mode and scored a second one minute later. 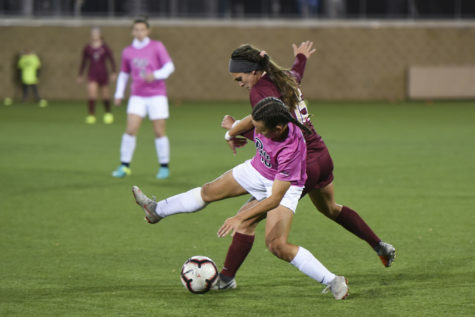 Kizza drilled a close shot right at the hands of Mendez, but Pimentel managed to slip into the commotion, secure the rebound and rifle a second-chance goal past a helpless Mendez to double the Panthers’ lead. 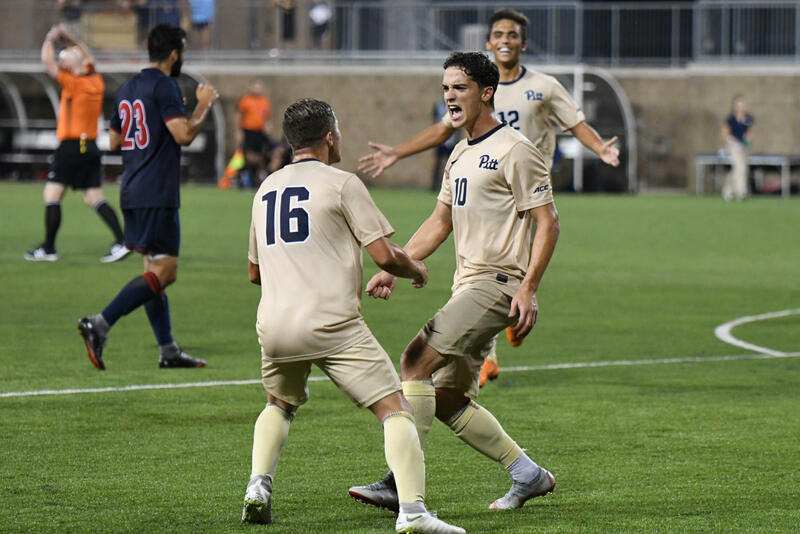 Detroit Mercy had a solid chance to narrow the deficit in the 58th minute, but Detroit redshirt sophomore midfielder Collin Cavanaugh missed, heading it over the crossbar to keep Pitt’s lead at two. 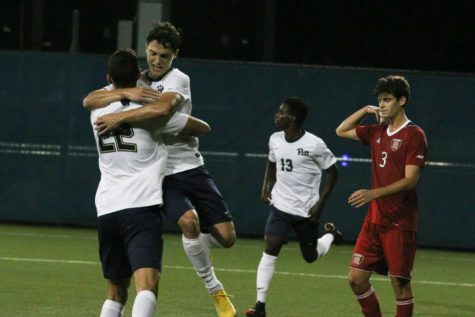 The Panthers nearly had a third goal when Pimentel made a run at the net and dished a well-placed pass to senior defender Peter Prescott, who easily found the back of the net in the 74th minute. But the refs called offsides and the score remained 2-0 until the final 90th-minute horn sounded. 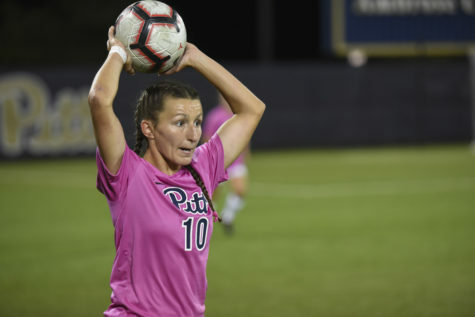 The last 30 minutes saw no goals, but Pitt head coach Jay Vidovich managed to distribute some playing time, as seven players came off the bench to make a total of 18 players who touched the field during the game — which was something that Vidovich was excited about. 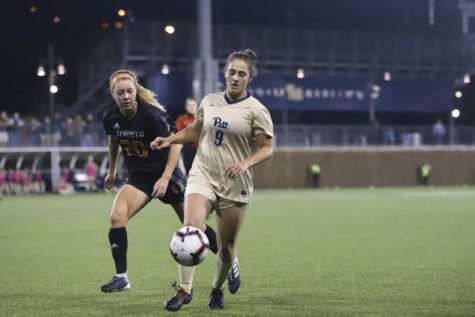 The Panthers will continue their season at 7 p.m. this Friday when they play the Louisville Cardinals on the road, before embarking on a five-game home stand over the next two weeks.